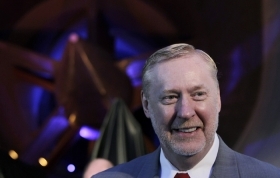 DETROIT -- Tom Stephens, GM's vice chairman, chief technology officer and former head of global product operations, will retire on April 1 after a 43-year career with the automaker. His successor will be named later, GM said Sunday. Stephens, 63, has served as GM's chief technology officer -- a new position -- since Feb. 1, 2011, with responsibility for the integration of advanced technology in GM cars and light trucks. He served as vice chairman for global product development from April 2009 through February 2011. Stephens succeeded Bob Lutz as GM's top executive for global product development, a role now held by Mary Barra. Prior to his post as GM's top product chief, Stephens was group vice president of GM's global powertrain operations from July 2001 to March 2008. In March 2008, he was promoted to executive vice president of global powertrain and global quality. "Tom Stephens is an engineering icon within our company and within our industry," GM Chairman and CEO Dan Akerson said in a statement. "We have all benefited greatly from his passion, wisdom, and commitment to product excellence. His talent and contributions to GM are deeply appreciated and his expertise will be missed." 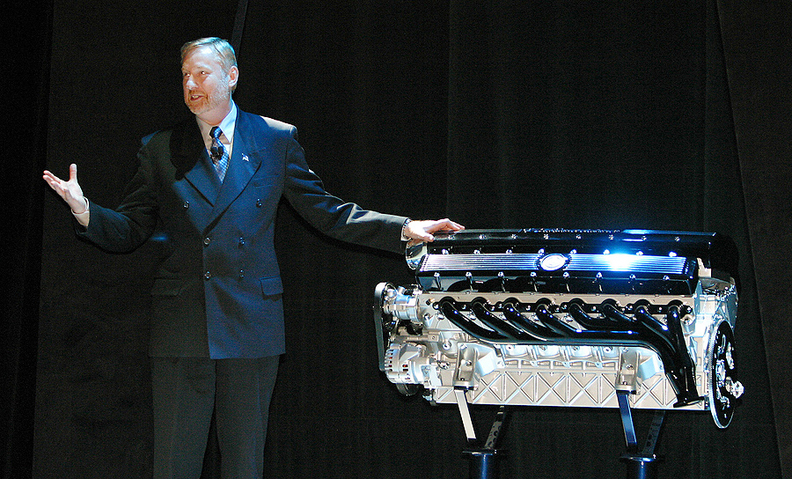 Tom Stephens introduces the Cadillac Sixteen concept car's 32-valve engine -- dubbed XV16 -- with 1,000 horsepower in January 2003. Stephens joined GM in 1969 as an hourly employee at the automaker's Chevrolet engineering center in Warren, Michigan, as part of the University of Michigan's student co-op program. Throughout his career, Stephens held several engineering posts at the Cadillac Motor Car division and a series of engineering leadership roles with the Buick-Oldsmobile-Cadillac division before he was tapped to lead the newly created GM Powertrain Division. In addition, Stephens led the development of the first Cadillac Northstar engine and guided the creation of several advanced engine technologies, hybrid vehicles, and the Chevrolet Volt.